Watercoloring is far from a new technique. I’ve never been one for really “technique-y” creating…. Splatters, tools, distressing, etc have just never really done anything for me as a crafter. Until I met watercolor, that is. It was (almost) love at first brush stroke. I did a little experimenting, finally found the right tools, et voila! I now feel like I’m cheating on my regular stamps and ink because my distress inks and watercolor brushes make me so happy. My next few posts are going to be dedicated to my most recent forays in the world of watercolor. 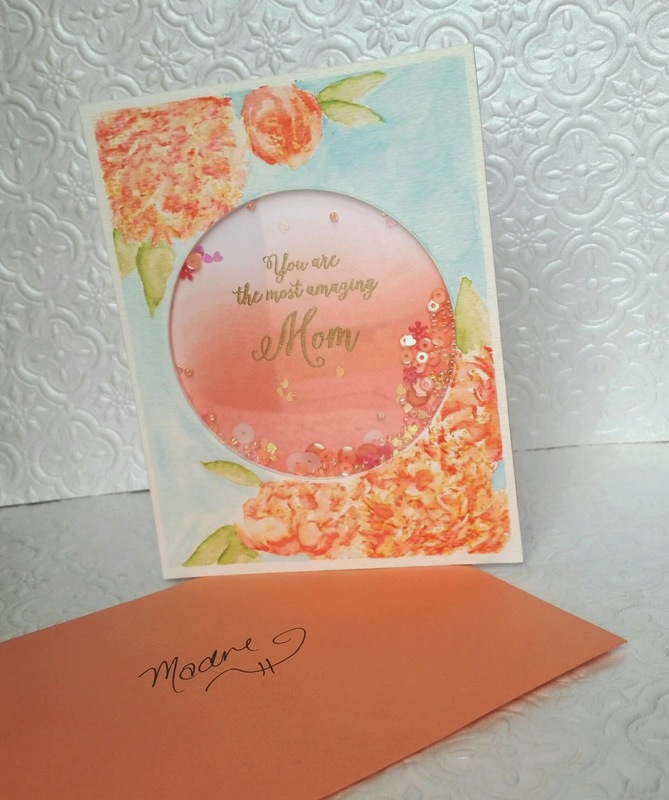 Today, I have a Mother’s Day card that I made for my own momma. I used The Ton’s Fresh Cut Peonies stamp set for the florals, Ellen Hutson’s Amazing Women stamp set, and various Distress Inks. I also made an ombré panel for the back part of my shaker with Hero Arts peach ink and my blending tool. 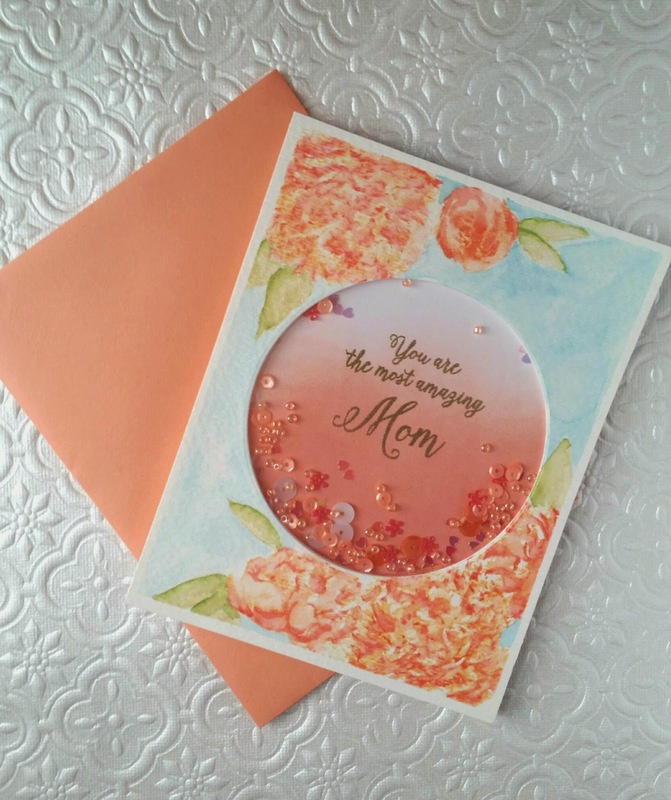 My mom loved this card, and I was so excited to give it to her today. One of my favorite watercolor cards to date! Thanks for stopping by! I hope you enjoyed what you saw. Have a fabulous day, friends! This card is absolutely ridiculous stunning!!! I absolutely ADORE it!!! If you don't mind sharing, what color inks did you use on the peonies?? And how did you get that watercolor look?? I tried inking the stamp and spritzing with water and it came out terribly! Any help would be greatly appreciated!! Thanks! !